Now that I’m caught up on review posts, I’m back to sharing random meals. Last week, I created the most delicious Red Bean & Brown Rice Burger using the No Meat Athlete veggie burger formula as a guide. It’s not a recipe at all — just a good formula to help you understand the best portion of beans, veggies, dry ingredients, spices, and flavors. You try any combo of beans and veggies and it’ll come out perfectly every time! That burger was great on a bun with pickles, lettuce, and tomato, but I also enjoyed a patty crumbled atop a Burger Salad with pickles and cashew ranch. Here’s a Fried Green Tomato & Tofu Bacon Sandwich that I made using air-fried green tomatoes. Oil-free! And now for some weird food! Since I did Health Made Simple a few months ago, I’ve really shifted the way I eat most of the time. Not only am I low-oil at home and sticking with whole foods as much as possible (not all the time! ), I’m also following the No Meat Athlete recommendations for pre- and post-workout nutrition. After my workouts, I immediately follow with quick-digesting carbs, like white rice, banana, or juice. 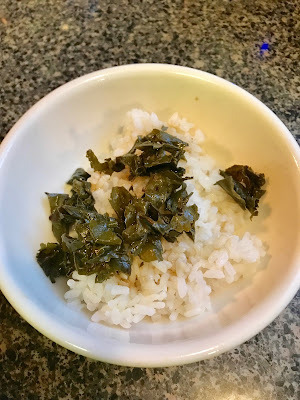 White rice is my fave though, and I especially love it with Green Tea Leaf Dressing (made with spent green tea leaves, rice vinegar, a smidge of sesame oil, and soy sauce). Looks weird, tastes good. A recipe recommendation from my friend Madelyn! I follow that was a whole foods smoothie about an hour later. I also take in quick-digesting carbs pre-workout. Before short runs, that’s a Larabar or a banana. 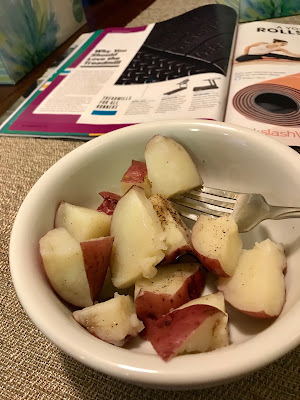 But for longer workouts, I’ve been enjoying Steamed White Potato about two hours prior to the workout. Workout nutrition is weird, but I love to nerd out on protein-to-carb ratios! Next articleEen gezichtsmasker thuis is een van de beste recepten.